From Villafranca there are 3 routes to choose from: the traditional valley bottom route, which I have enjoyed twice in the past; the Dragonte route than goes way up and way down several times too many; and the Camino Duro, which is somewhere in between, although the name is a bit off-putting. 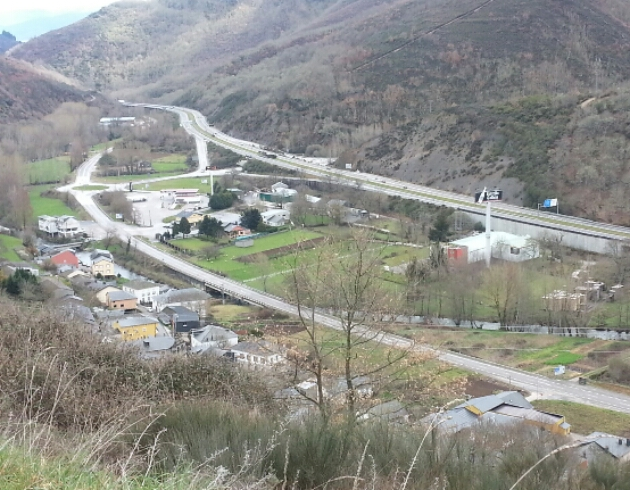 We took the Camino Duro, which was a hard climb for the first kilometer. It continued to climb but at a reasonable rate, and we were happy have taken it. 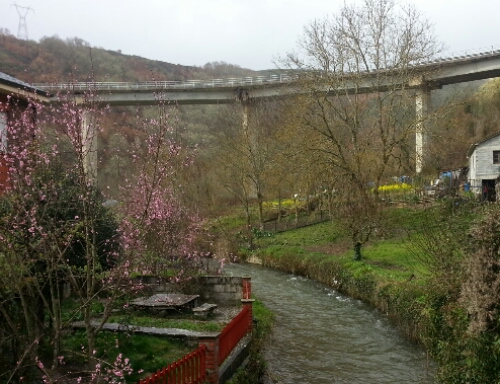 The only problem was finding our way back down to the valley to join the regular route at Trabadelo. 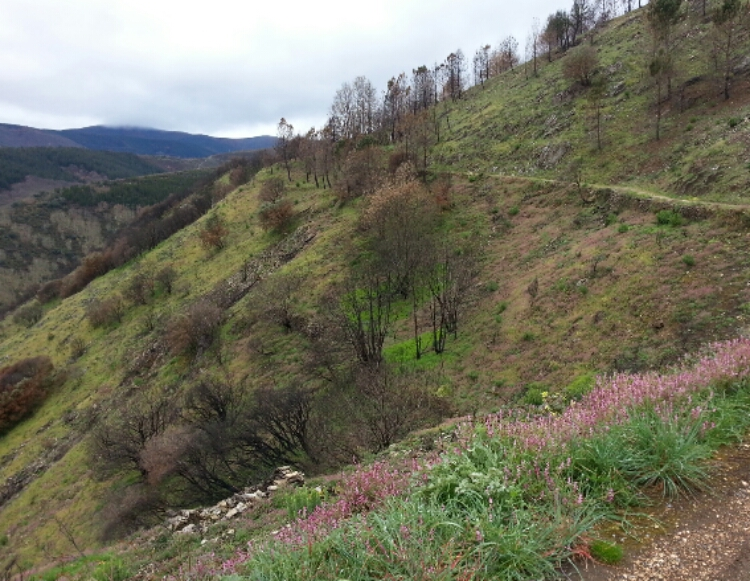 The day was overcast but we never lost sight of the river and highway, so we were never “lost,” but we put in several km of wandering the chestnut groves on the hillside before finding the switch backed road down! We occasionally found hiking boot prints that suggested others had passed before. Also signs of short cuts taken. 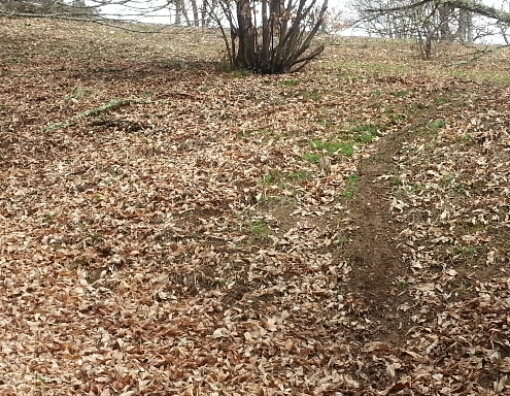 Hard to see the steep slope where someone likely came down on their bum! 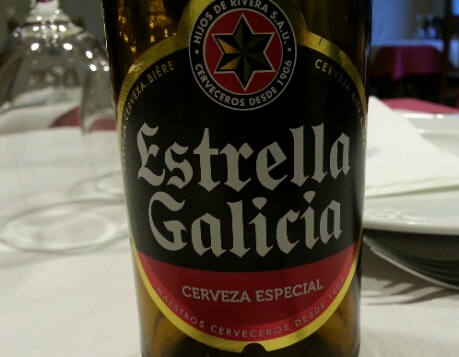 That was very enjoyable, but we then applied our boots to the road to reach our room reservation in Las Herrerías. During the day, we must have layered up and down about 10 times (no exaggeration) before settling on full rain gear for the last 2 hours. We reached Casa Polin well drenched, tired, and and very ready to appreciate the local beer. We didn't sit down once over 7 hours and 23 km. Not recommended. March 28, 2016 in Misc.. 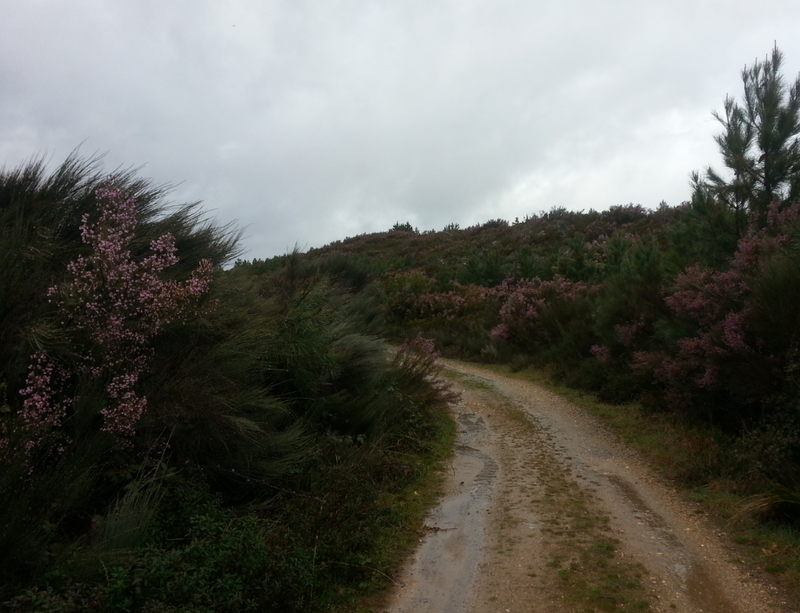 I too chose the Camino Duro last year and never regretted it, much better than the tarmac road I have walked before. The only thing I missed was stopping in Pereje, but it was worth it for the views. Thank you for posting photos, the Astorga-Santiago stretch is my favourite and I am enjoying my daily dose of vicarious walking. 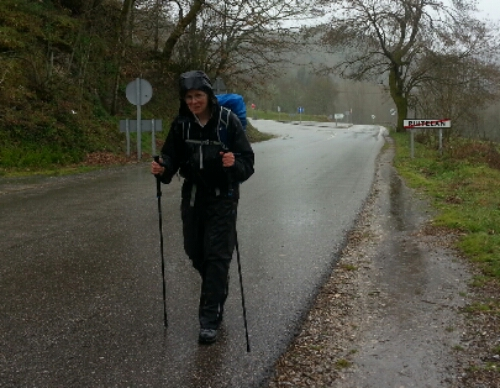 Buen (and dry) Camino!